The winners of this year's Clarence Derwent Awards, with Equity general secretary Christine Payne (centre). 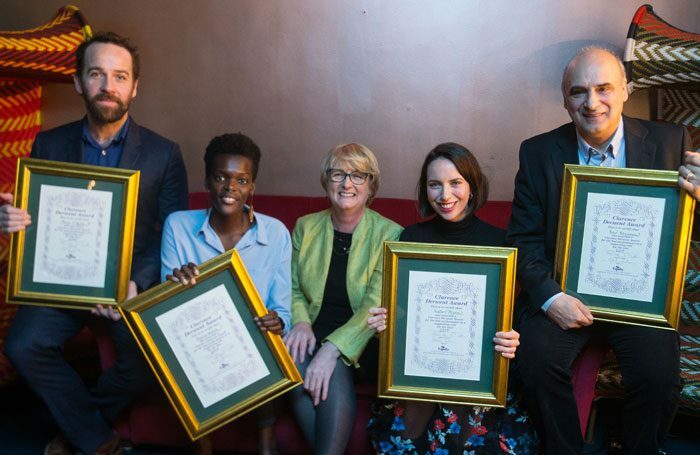 Peter Polycarpou, Jonjo O’Neill, Sheila Atim and Kate O’Flynn have been named winners of this year’s Clarence Derwent Awards. Presented by union Equity, the awards honour best supporting actors in London productions. Polycarpou’s prize was for his role in Oslo, the National Theatre production that transferred to the West End, while O’Neill was honoured for his roles in Unreachable at the Royal Court and Cymbeline at the Sam Wanamaker Playhouse. Atim’s award was for her part in the Donmar Warehouse’s all-female production of The Tempest and the National Theatre’s production of Les Blancs, while O’Flynn won for The Glass Menagerie in the West End. Polycarpou said he was “touched and humbled and thrilled”. “I never thought I would be the recipient of this award. It comes as a huge surprise. I have been an actor nearly 40 years and this is an affirmation of your work. It makes me feel I am getting something right after all these years,” he said. The Clarence Derwent Awards were last presented in 2016, for the 2015 calendar year. However, Equity general secretary Christine Payne said the awards used to be given out almost 11 months after the year of work being celebrated. In the future, the awards will be held around this time of the year, for the previous 12 months of work. “This means that to get everything back on track for the future, we are awarding two years at once,” she added. 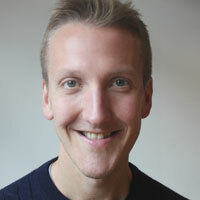 The awards were presented on January 29 at a ceremony in central London, where bursaries were also given to Sophie Harris, David Perkins, Tessa Carmody and Sam Elwin.